Last month we started to use the Sky Kids App and we shared with you how we how found using it. This month I’m going to share with you how we’re finding it a month on. I find this time of year is really busy, there is a lot going on at school, with discos, nativities, parents evening, Christmas Jumper Day, the list goes on. Then there is all the fun Christmas things that we have planned at the weekends in the lead up to Christmas. Not to mention, all the presents to buy and wrap and a house to keep clean and tidy. Throw into that we had my Mum’s 70th birthday at the beginning of December and its safe to say there is a lot going on. But actually I really love this time of year and I wouldn’t change it at all. The Sky Kids App, has continued to be loved by Alice. She knows her way around it easily now and she loves the games that it comes with. With life being so busy in the run to Christmas, you have to grab every opportunity there is to get jobs done. When Holly is off at a club, or is with Andy, it means that I can let Alice have an hour on the Sky Kids App and get some Christmas wrapping done and write a few cards. I find that doing it a bit as I go along means that I don’t have a big task on my hand as we get closer to Christmas. Plus I can start to deliver some presents to friends and family as I see them. I don’t have to feel guilty, as Alice is having fun and being educated without realising it. Plus she is tired from school too and needs some down time. It’s the perfect solution for all of us and it is taking some of the stress of Christmas away. 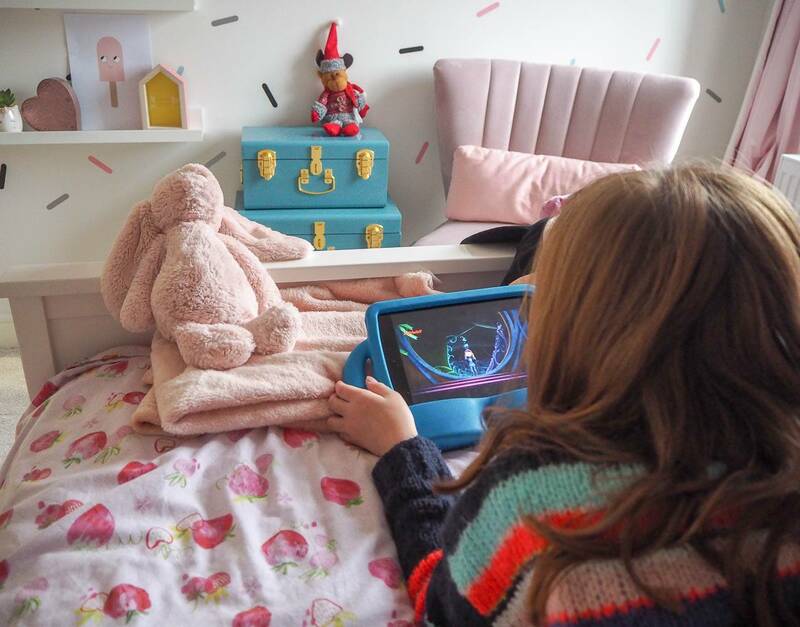 Since my last post about the Sky Kids App, 102 Mumsnet testers tried the Sky Kids App and 94% said that they would use the App again and 97% said that they would recommend it. Which I think says a lot about how good the App is. I know that I have recommended it to friends that have Sky, as it’s free to use and there is a lot available for them to use. As I mentioned above, it was my Mum’s 70th birthday and all my family headed to Centre Parcs for the weekend. We picked the girls up from school on the Friday and went straight there. They were tired and excited to be going and it was really great to have downloaded some programmes for them to watch on the journey. This definitely made the journey easier and at this time of year, we do more journeys to visit family and friends and I love that you can use it with no wifi. One of my favourite things to do with the girls at this time of year is going ice skating and Sky Kids App have partnered with Winter Wonderland this year. 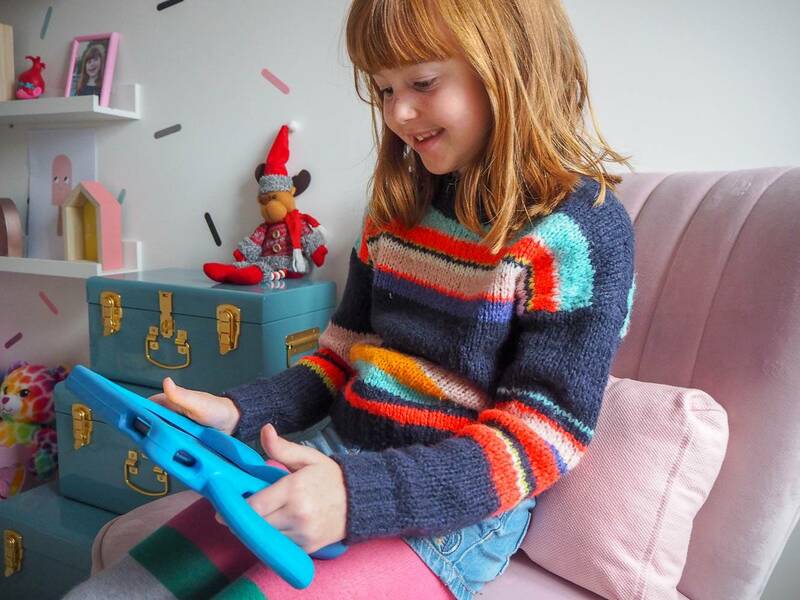 Let’s be honest the queuing is never any fun with children, but Sky Kids have put iPads in the queuing area, which means kids can be entertained using the Sky Kids App, leaving Mum and Dad one less job to do, before its time to put their skates on. I’m hoping we might be able to visit Winter Wonderland this Christmas, as I would love to take the girls. 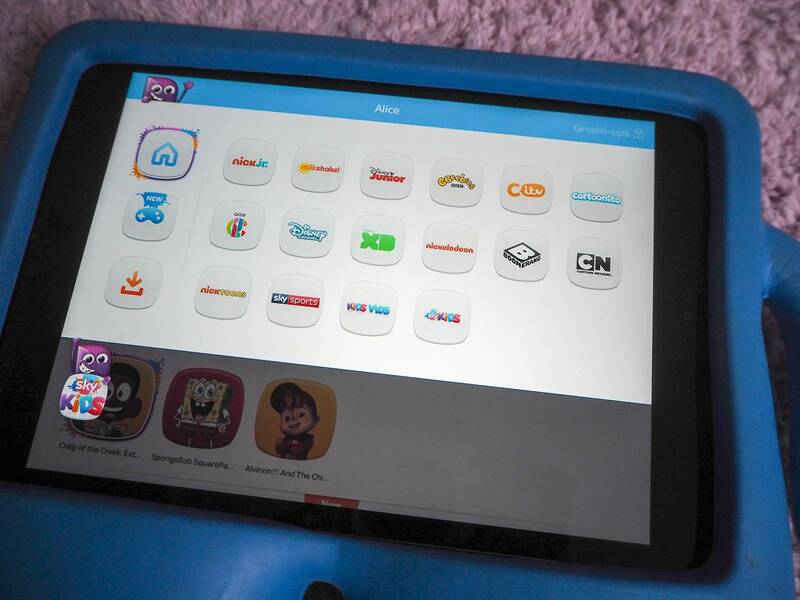 Everything you need to know about the SKY Kids App, you can find here. 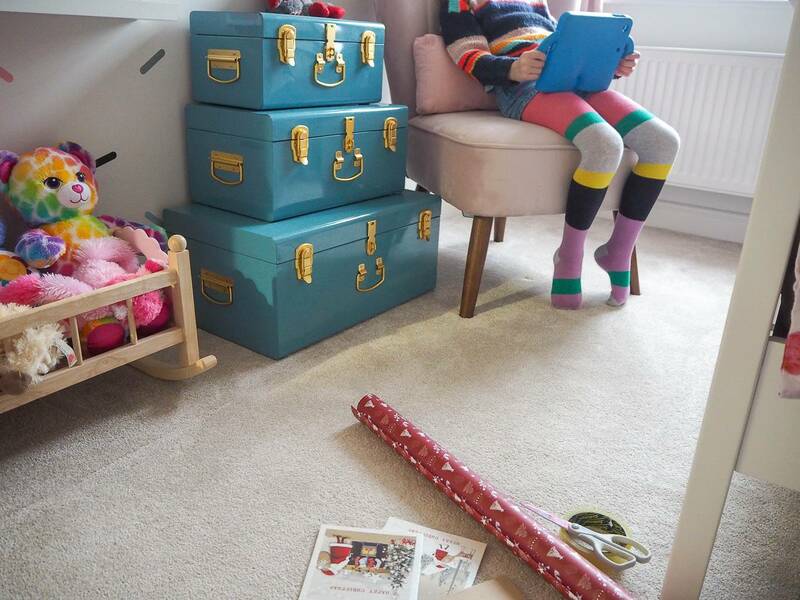 Are you ready for Christmas, how are you entertaining your children during this busy time? Disclosure: I’m working on a paid partnership with SKY Kids but all words, opinions and content are entirely my own. I’ve started doing my wrapping in stages too, it’s a revelation! I used to give myself backache trying to do it all in one day! This looks like such a fab idea! 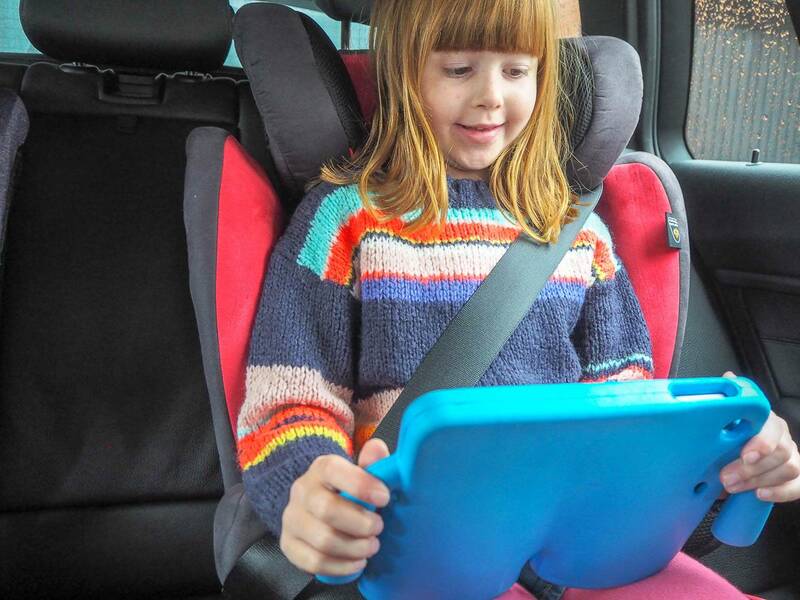 Sometimes the iPads are a godsend, especially in the car! Yep completely agree, i have managed to get so much more done since i dont mind them watching their programmes knowing they cant get onto anything nasty! With so many errands to run at this time of year, the children have been loving this in the car. I have seen this app on the kids’ tablets. I need to check it out some more. I agree at this time of year the kids are exhausted and really need some down time. It’s great that the app is educating her without her even realising. This is a great app. And where did you get those groovy storage trunks? This sounds like a great app! We are sky customers through our tv but hadn’t heard of the app! Will definitely check it out. The Sky app looks so good and would be perfect for taking some of the Christmas stress away. We all know that the children (and some of the adults too) can get really giddy over Christmas. This would really help encourage some quiet time and give the parents a bit of a breather too. 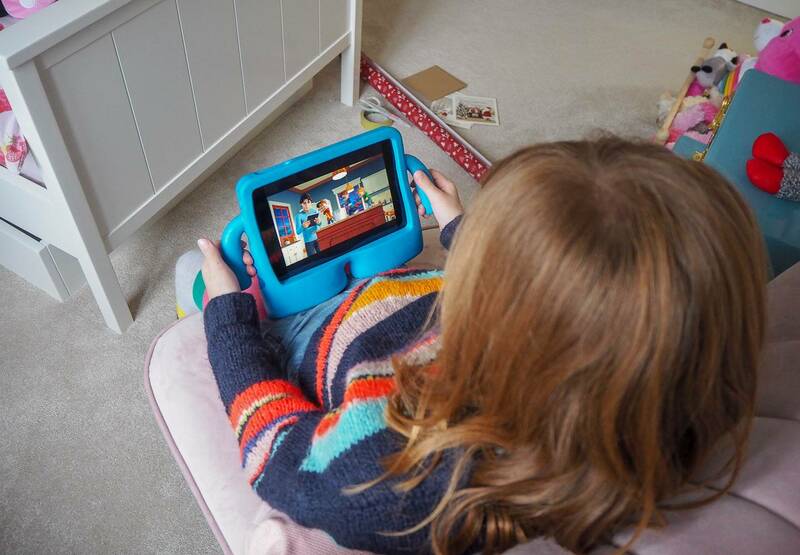 I’ve read a lot about the Sky Kids App this week and it sounds fab! I’m definitely going to download it for Oscar once his tablet’s been mended!